Question 1.A): Does Death Have A Caste? 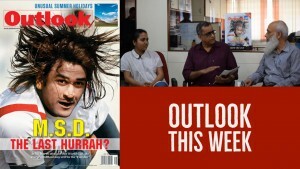 Home » Magazine » National » Question 1.A): Does Death Have A Caste? The deeper you go into the Rohith Vemula story, the more you find dignity. Outside it, pettiness still rules. Madhavi Tata	February 15, 2016 00:00 IST Question 1.A): Does Death Have A Caste? The edges of a poster, stuck loos­ely on the wall at a santapa sabha for Rohith Vemula, flaps about in the draught. A train is whizz­ing past on the track about 50 feet away. Four boys, who have bunked school, play a game of spitting into the open drain which rings the colony like a river. This is Ramireddythota, Prakashnagar. The auto driver who takes me there does so only after a little cajoling: the place has some notoriety as one of Guntur’s “red-light streets”. Claustrophobic, decaying houses stand in a huddle. 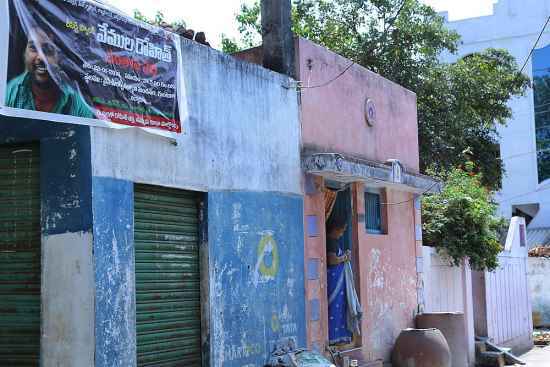 This is where Rohith Vemula spent his childhood till he went on to join the Andhra Pradesh Residential Junior College in Hindupur after Class X. Populated mostly by lower-middle-class Malas and Vadderas, Ramireddythota is now the cynosure of all eyes. House No. 923, where Rohith’s adoptive grandmother Anj­ani Devi lives, has a string of visitors, mostly officials making enquiries. Rohith’s mother Radhika and younger brother Raja Chaita­nya Kumar Vemula are away, giving a statement to the Guntur joint collector about their caste antecedents. Anjani’s daughter-in-law Dhanalakshmi says, “Both Rohith and Raja were studious and helped their mother in eking out a living. Mani­kumar (Rohith’s father) would rarely visit them…only when he needed money. He was never happy about the fact that Radhika was the child of migrant Mala labourers, and later an adopted one,” she says. Mala or Vaddera? Astoundingly churlish though it may seem in the face of a tragedy, this is the question that anyone who knew Rohith even remotely in Guntur is being grilled with. The first is a Dalit community, the latter ‘merely’ a backward caste. If it seems near-obscene to frame the debate in such narrow, techno-legal terms—especi­ally when seen against the material circumstances in which the family struggled for dignity and life-chances—it bothers no one. Venkateswarlu Vennekota, principal of Kanna English Medium School, where Rohith studied from Class VIII to X (2002-2004), has been visited by five intelligence and police teams so far. “I am amazed no one wants to know what sort of a student Rohith was. Police officials from Andhra and Telangana both wanted to know just one thing. Was Rohith a Dalit or not,” says the principal. The political eagerness to ‘de-Dalitise’ Rohith is pretty apparent. Venkateswarlu explains that at that time his school was not a recognised one. Hence, Rohith took the SSC Class X exam as a private candidate from a government school, Jalagam Rama Rao Memorial, in Kothapeta, Guntur. 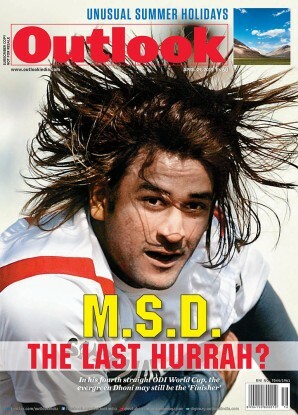 “He scored 512/600 there. While I taught him English, he was excellent at science and maths,” says the principal with evident pride. Venkateswarlu, or ‘Kanna Master’, as he is fondly called, was asked whether he knew anything about Rohith “displaying anti-national signs and being a Yakub Memon supporter”. It’s deepened the sadness in him. “My personal feelings are that Rohith was victimised at university. He was a happy child, disciplined and intelligent. I don’t think ideology can be termed criminal. I told the police that just because he opposed capital punishment to Yakub Memon, Rohith couldn’t be termed anti-­national. I will not support anti-national elements at any cost. Here it just does not seem to fit the case,” says the principal. Hindu College, where Rohith did his gra­duation, has also had revenue and police visits trooping in with the same questions. A lecturer, on condition of anonymity, says political groups are piling on the pressure. “It is as if Rohith’s suicide would be less sad if they prove he was not a Dalit. Why can’t officials understand that subjective victimisation of the poorer, oppressed castes in our varsities is a reality,” says the lecturer. College principal Dr K. Kanakadurga has the facts. On his admission application and TC, Rohith is an SC (Mala). She was not there during those years, but dug up papers when the cops asked for it. 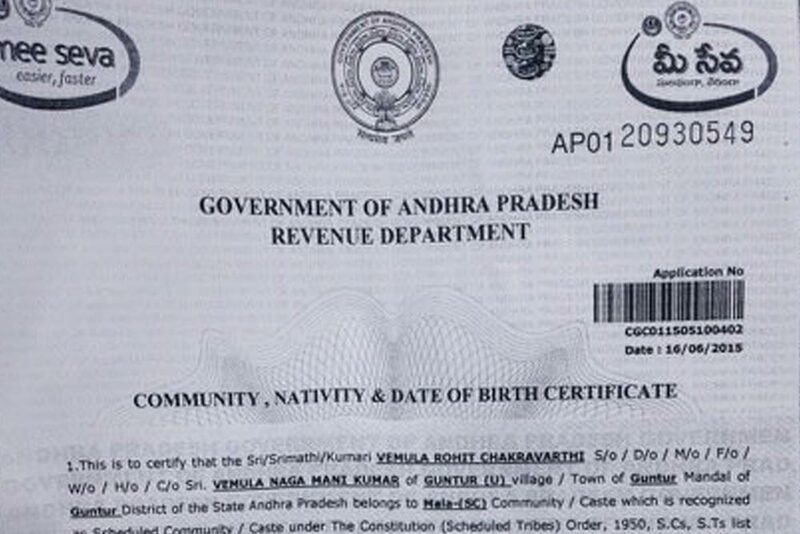 “Rohith had also enclo­sed an MRO certificate during admi­ssion stating he was a Dalit. But his BSc in biotechnology, microbiology and chemistry was self-financed. He did not take any aid,” she says. Shaik Riyaz, Rohith’s college friend, lets on that even during his undergrad years at Hindu, there was a group of Chowdary and Brahmin students who avoided Rohith: unmistakable caste behaviour. Add to that his straitened financ­ial conditions. “He used to work at the exhibition in the summer from 5 to 10.30 pm. He’d use this money for books and college fees. He was one of the few students who’d spend hours on the internet researching. His notes were concise and even lecturers would take website IDs from him to read up on recent research in microbiology or biotechnology,” recollects Riyaz. 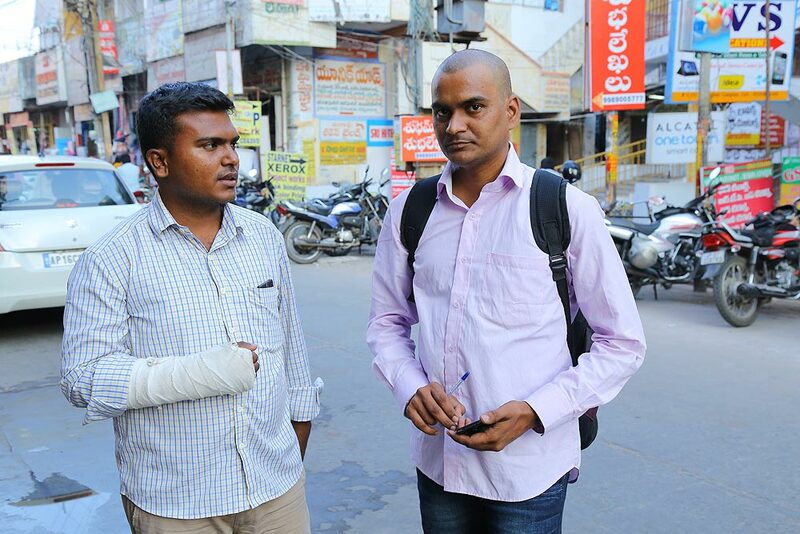 Rohith’s brother Raja Vemula says he too routinely faced the “Dalit treatment” at college. “I too did intermediate and graduation from Hindu. I used to go for physics tuitions. When I asked for water once, I was handed the water in a glass held far from the body. They’d qui­ckly get those glasses washed. Elite caste students would not talk to us or lend us their books. The fact that we grew up as Dalits, facing indignities we feel ashamed to talk about, matters little to police or politicians,” says Raja, now a project fellow at the National Geophy­sical Res­earch Institute, Hyderabad. Radhika, who never received a for­mal education, fended for her children in the time-honoured way given to those of her modest means, doing her fair share of hard slogging: tailoring, running a tea shop and working in Guntur’s mirchi yards. Riyaz takes us to the small tea shop that Radhika ran. “She used to sell tea, cigarettes, paan and sweets. Rohith and Raja would man the shop in the evenings at times. They never had time to play or just be children,” says Riyaz. If this resonates with a larger-than-life, mythified narrative on similar lines, it’s entirely a matter of coincidental irony. Dhanalakshmi says Radhika and her kids were treated well in Anjani Devi’s house, but Raja says, “We were little more than servants there. That’s why my mother moved out and lived in a rented house nearby. But we respect Anjani Devi, she used to give us some money for our education.” It’s an implied fact: the family faced discrimination from Vadd­eras (Anjani’s caste), slightly ‘higher up’ the caste rung. Meanwhile, Radhika, accompanied by her foster mother, leaves for the bank saying she is too emotionally exhausted to talk. Caste may be a manufactured debate here. But other things are hazy. Rohith’s fam­­ily says it’s not clear who found his body first. “Some say his friends Vijay and Sunkanna. Others take a third name. I saw his body six hours after he died. The whole affair was treated in a shabby manner by university officials…they even shoved us away as protests began. It was total chaos,” says Raja. Police and intelligence sleuths may be all over, but Guntur Urban SP Sarvashresth Tripathi denies any orders. “We’ve condu­cted no inquiries. The case was registe­red in Hyderabad. It is possible that officials from there approached revenue authorities and the school/college where Rohith studied on the caste matter,” says Tripathi. Riyaz, meanwhile, is browsing through Rohith’s Facebook page. He often talked of Ambedkar, Dawkins and put up activist quotes—like Alice Walker’s ‘Activism is my rent for living on the planet’. The 26-year-old also put up YouTube links to a Telugu song from Kumar 21F or Dhanush’s Innum Konjam Naeram from Maryan. “He was just a normal young man who listened to music, hung out with frie­nds and studied hard. He fought for his place in the sun and for other Dalits too. The fact that he looked at the larger picture seemed to be his only crime,” says Riyaz, as he breaks down in tears. The text of Rohith Vemula’s suicide note holds the key to understanding his death. It doesn’t speak like those who claim to speak for him.